Next up in my ongoing efforts to see how many Android tablets I can hack is the Pandigital Nova. This is a 7" Android tablet which came out late last summer. I'm not terribly impressed with it but it's an okay value. Once you've installed Android Market it's not a bad tablet. Like the several other tablets I have hacked, installing Android Market was a straightforward process. All I did was repeat the steps listed in this post. It didn't go quite the same way but the process achieved the goal. Download this ZIP file to your computer. Open the Zip file to your computer and copy the contents to your Pandigital tablet over USB. Then unplug your tablet. As a 4th step you might want to press the home button, select the checkmark which says "open always with", and then select Launcher. This will guarantee that whenever you press the home button you will see the home screen and not be prompted with a menu. I have Aldiko installed and it works fine. On a related note, I mention the SuperNova tablet in the title for a good reason. While I tested this procedure on the Nova, I'm pretty sure that the SuperNova is similar enough that these instructions will work on it as well. The Nova and the SuperNova don't appear to differ by anything other than the screen size. If these instructions do work on your SuperNova, let me know. Picked up a refurb Nova today that’s $99.99 but got mine for $84.99 with a coupon! Anyway, this worked with the latest firmware update. It works! But it killed my home button! Any ideas? ..home button works when Nova is connected to PC via USB. I did factory reset and it erased everything, including Market. Do I reinstall the files again? Yes. Install the hack again. I just keep getting the message unable to parse, any thoughts? I tried re-downloading the zip and extracting again, but no change. It keeps saying “unable to parse” on all of them except for the one that says vending-3.13, any suggestions? Usually that’s a sign that the APK requires a later version of Android. But I don’t see how that could be the case. It keeps saying no application available. What does that mean? It says application can’t be parsed. Anyone know a way to upgrade this to Android 4.0? Says “Can’t establish reliable data connection to server”. When I launch the market app and in the description mentions the “phone” not being provisioned for data. Any thoughts? There is no such animal yet. 2.3 OS is all you get. Some are working on something higher but, my guess is, it is another year or more out ifffffffff they dont give up by then cause prices on other units are dropping fast enough for folk to not give a shiat about the Supernova. 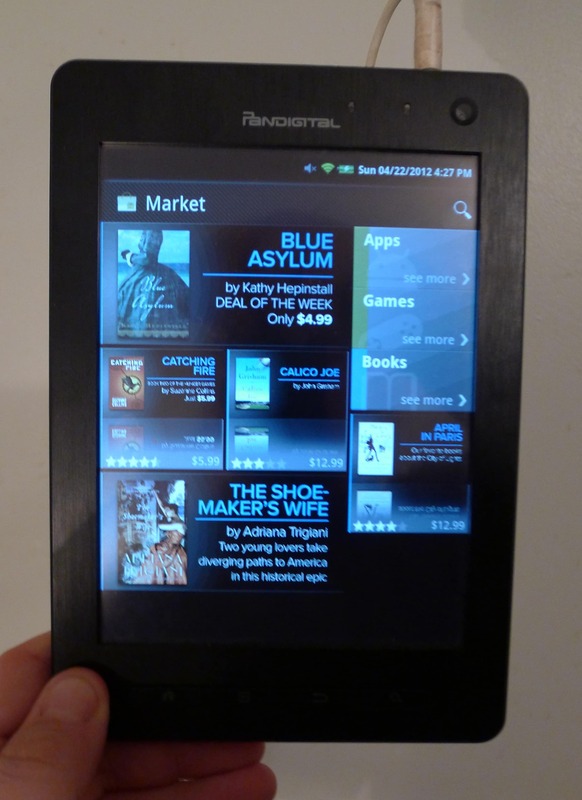 If you want something little better but still Pandigital (cheap) go to the Pandigital Planet 7″ tablet. Due to issues it had, Pandigital upped its operating system to a higher gingerbread (2.3.4) as they fixed those problems. I have Icecream Sanwich 4.0 on my Ematic. Same problem with downloading apps from Google Play. Looking for info on Ematic Eglide 4 XL. I have the super nova but I cannot watch streaming video,other than youtube any help? I just keep getting the message There is a problem parsing , any thoughts? Usually that means the app doesn’t want to install on the version of Android running on your tablet. You can try rebooting the tablet, but this is usually an insurmountable issue. Same problem as Mike on Aug 11. Cannot establish reliable connection. Seems to think it is a phone. Is there another file to install to trick phone illusion? a lot of apps say incompatible is there any way to fix this? I had a rooted PD Nova, and it stopped working in warantee period. I sent it to PD (they took TWO MONTHS to replace it) and when they did replace it they sent the PD Edition. Yea, no one else has heard of it either. Looks and acts like the Nova, for the most part. Found your info and followed it, and now it is acting like rooted device, without the risk of rooting. So far I have been able to do what I want with it. THANKS!!! Ok. I don’t have a computer. This is my 6th time trying to put any thing on this nook. I really wanted it for my bible Android music. So for al I’ve been able to do is play the two games that’s on it. At hospital now where wifi is free trying to down load anything on it. I even bought a chip that has 16gb on it for the extra space. There has to be a way for dummies with this tablet.lolo HEEEELLLPPP!!!!!!! I am having problems. I did what you said except when I tried to install the google services framework it said I already had it on my tablet. So, I just skipped that one and Google play installed just fine. The only problem is that whenever I try to install an app it just says there is an error while downloading. Ideas? Reboot the tablet. If that doesn’t help try logging out of your Google account and logging back in. It means you have a bad wifi connection. 3) Go back to the market app, and try again. Seems that the issue on my end was that it hadn’t properly synced my gmail account when I first set up the tablet. Perhaps yours has done the same. Also, if you don’t have a computer with which to extract the zip files and transfer, just download the zip file to your SD card on the tablet, go to ES File Explorer, select the file, and extract from there. Then, while in said folder, you can open the files in the proper order. Okay everything works fine but my home button is screwed. I already rebooted andveverything nothing works so I just found an application that van take me to my home screen. Any ideas on how to five the home button??? The only way I know to fix this is to perform a factory reset. This will also wipe everything from your tablet, so caveat emptor. i already have g.table n already extract it but I had problems to download ( onetime,set up wizard,google,gmail,talk,maps,vending) my package says error what can i to about it. I’m trying to install on a ematic EGP007 with android 4.0.4, when I try to install the GoogleServicesFramework-signed.apk tells me that there is a version already installed, follow the installation and good, but when I try to open the market says that the application is stopped and no walks. will know why? Would this work with the Pandigital Planet too? Thanks. have anyone figure-it out how to solve the PARSE issue?? If you are trying to install to an Android device from an SD or MicroSD card, do not unzip the installable prior to attempting the install. Leave the file as is, as a .zip file, and install directly from that. Hi. 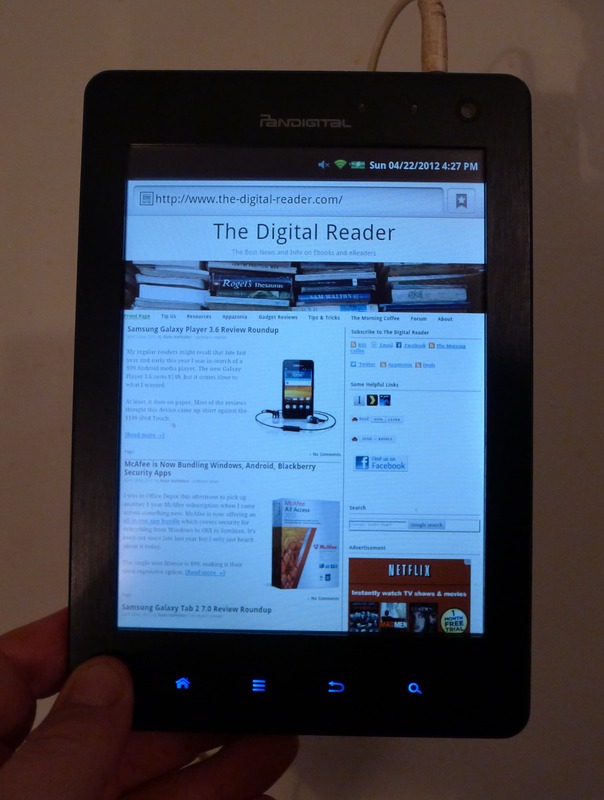 I have a SuperNova DLX 8″ Android Media Tablet but only used it as a Kindle. My car radio died and the dealer wants $400 to rebuild and reinstall it. I don’t have that much money for a radio but I’m going crazy driving in absolute silence. Is there an app that I can download so I can get am/fm radio on the tablet? Thanks. You would need some type of internet connection to stream audio from this tablet. It only has Wifi.